What would you banish to Room 101? 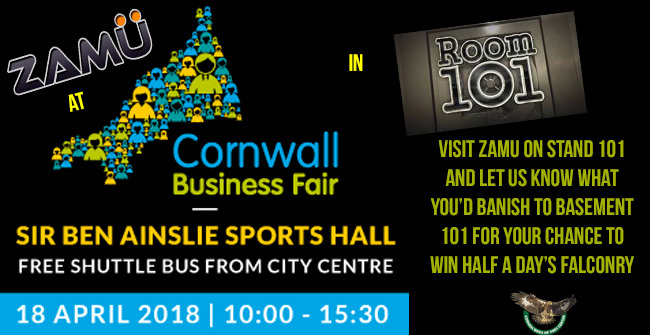 Zamu has been hard at work preparing for this years Cornwall Chambers Business Fair. At the Fair we asked visitors what would they like to banish to the basement of Stand 101 and why. We had a massive response. The top of the suggestions GDPR – this was the most popular suggested by far! Designed for SMEs this identifies the strengths and weaknesses of their business under twenty headings. Finance, HR, Marketing, Management, Sales, Operations etc., the report is comprehensive and detailed.